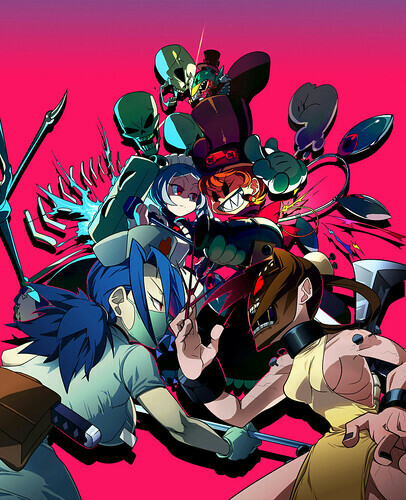 We’ve got another batch of fantastic Skullgirls fan art for you today, this time featuring some amazing works from Japan’s Pixiv art community! Normally I try not to post multiple works from the same artist in succession, but I’ve made an exception for the always amazing Yojio. This stylish, graphic Peacock fan art comes from Yukataru. 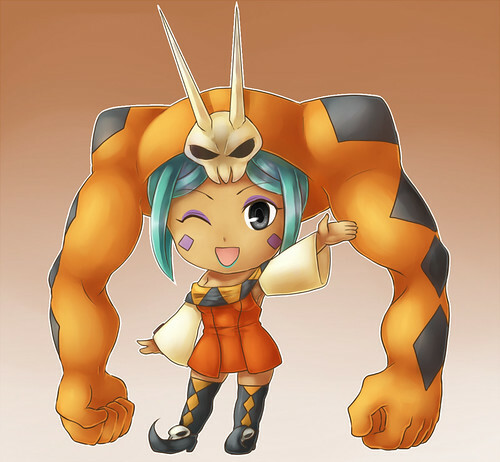 Zairu drew this adorable, “Nendroid-like” version of Cerebella. This sad and sweet portrait of Painwheel comes courtesy of Aruse. 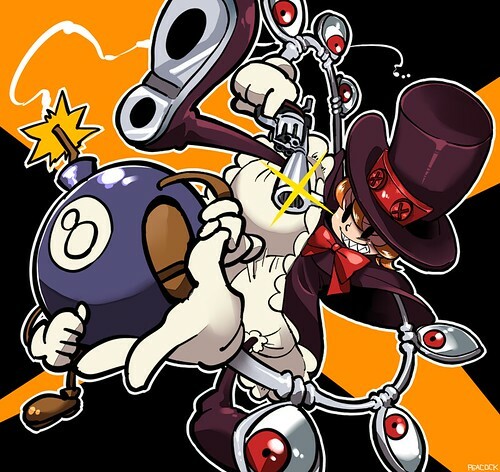 Finally, official fan art from Skullgirls’ inestimable Senior Animator, Persona. Listen to this while you gaze upon its majesty. 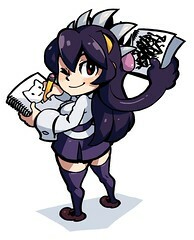 Mecha-Filia… Make it happen XD Love these fan works. awesome stuff! I’m in love with the one by Yojio, awesome! 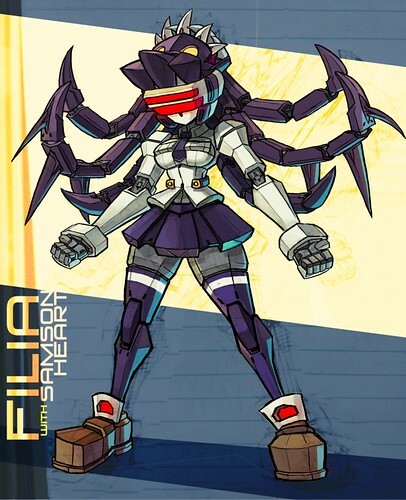 I ADORE the design of that mecha Filia! Which is to say, I adore seeing mecha version of an already awesome design, but STILL! I like the art this week, especially the first pic. Kinda makes me eager to see the new character intro vids when they come out.